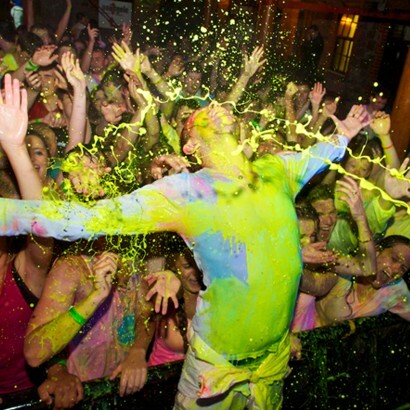 Mix up UV Evo Party Paint Powder and cover your party people in UV neon body paint for the ultimate paint party! If you're looking for a fun new party idea, then look no further than a UV paint party! Cover your party people in UV reactive body paint in the brightest neon colours for an out there party experience that'll never be forgotten. UV Evo Party Paint Powder allows you to mix up to seven litres of UV party body paint from one single pack ready for you to drench your crowd in neon colour that fluoresces under UV blacklight! 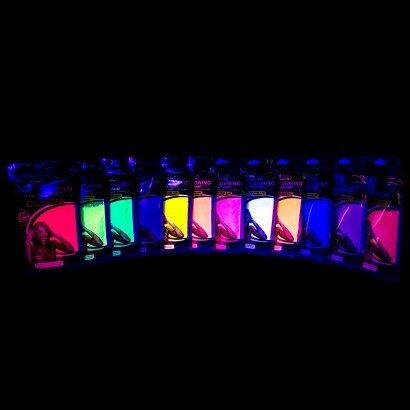 Compatible with paint party blasters, party pouches are available in six super bright neon colours. Mix a full 76g pouch of UV Evo Party Paint Powder with warm water for up to seven litres of water based body paint that can be washed off the skin with soap and water, but beware, party paint powder WILL stain clothes and furnishings.